Such a beautiful sunset as well as buildings!! the palm trees and the desert sunset rays - quite nice, I really like the way you've captured it, very characteristic of UAE. 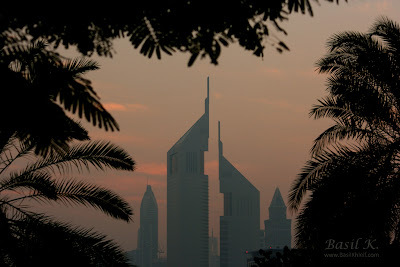 One of the classic shots of Dubai.